Glossybox is featured on Rue La La for the next six days! You can get one month for $15 (regularly $21) or you can get a six month subscription for $95 (usually $126). If you don't have a Rue La La account, you will need to sign up for one. That's the only nuisance but for me it's worth it because they tend to have deals on subscriptions fairly often. You'll see the Glossybox right one the front page but if you can't find it, it's also under the Womens tab. If you want something a little more snacky, you can get chocolate at Gilt City! 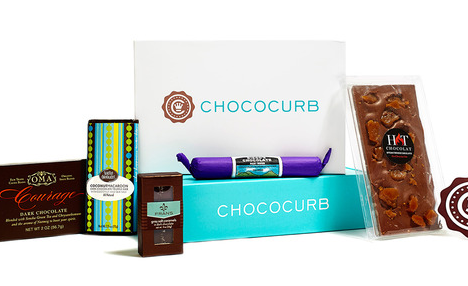 Chococurb is on sale at Gilt City for $10 off the regular price for one month. That makes your first month $25. You can also get a three month subscription for $65 (regularly $99). That's a lot of chocolate, though. Whew! You will also have to sign up for an account at Gilt City to take advantage of this offer. I think Rue La La and Gilt City are my favorites of this type of website because they do have subscription box offers pretty regularly. If you use Ebates, don't forget to activate it for your purchase on Gilt City. You'll get 4% cashback.